AUL annual awards #21 Aug97 R371, a photo by CorkBilly on Flickr. 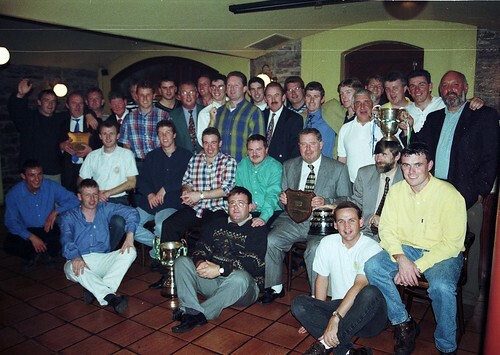 Greenmount Rangers, Team of the Year 96/97, celebrate at the AUL Annual Awards in The Kiln Aug 97. Click on the image to see more pics from this year.